Thank you for your interest in Brian Amoroso, D.D.S., a practice specializing in endodontics, more commonly known as root canal treatment. 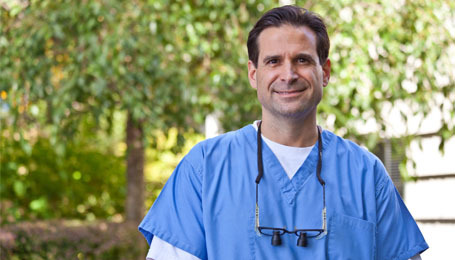 Dr. Amoroso is a specialist member of the American Association of Endodontists, and provides the highest standard of professional care in a friendly, comfortable, state of the art setting. By referring you to our office, your dentist has shown their concern that you receive the best care possible. Our goal is to provide unsurpassed quality in a compassionate environment of professionalism and clinical excellence. We utilize the latest advances available to the specialty of endodontics to maximize our treatment outcomes, including surgical operating microscopes, torque controlled electric (quiet) handpieces, rotary cleaning instruments, digital radiographs, ultrasonics and electronic apex locators.